DISPA® will be showcased at the 2019 ISA International Sign Expo April 24-26 at the Mandalay Bay Convention Center in Las Vegas. Show-goers are invited to stop by the 3A Composites USA Booth No. 1327 to view DISPA® samples. 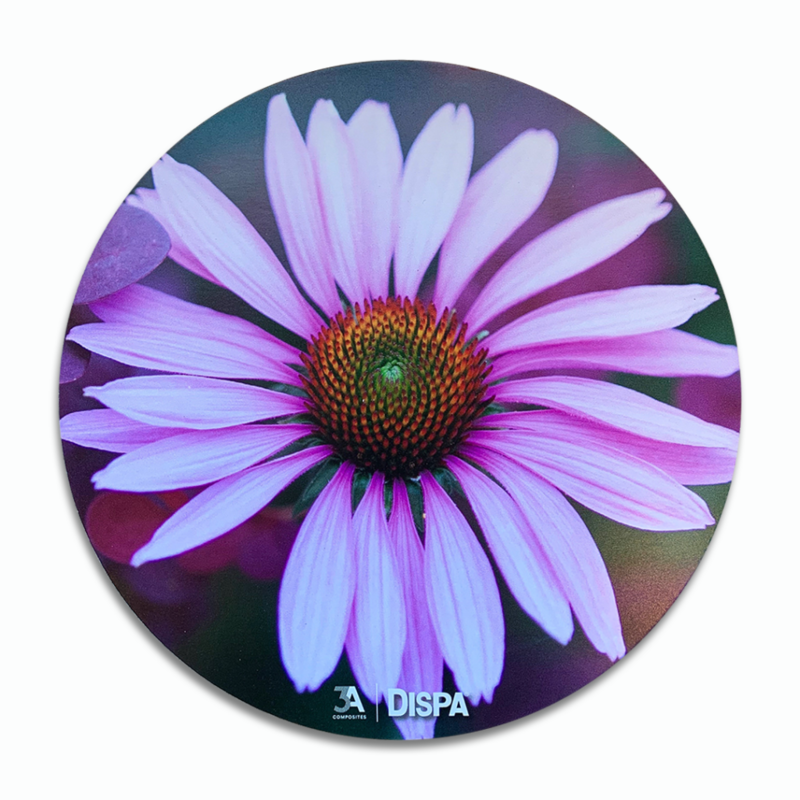 DISPA® provides a flat, smooth surface that offers excellent printability in both digital-printing and screen-printing applications and is available in both 48-inch and 60-inch widths for large-format printing. DISPA® is easy to fabricate – even with hand tools – and can be die-cut and CNC routed. This formed paper board is ideal for pre-printed double-sided offset litho sheet lamination. DISPA® is the ideal substrate for short-term promotional campaigns and can be used to create point-of-purchase and point-of-sale displays; hanging signs; window displays; tradeshow displays and exhibits; and three-dimensional displays. It’s also perfect for creating sophisticated packaging. DISPA® originally was introduced in 2015 in Europe by 3A Composites following extensive analysis and profile testing to develop the unique embossed structure that forms this paper board’s central layer. This patented core and manufacturing process make DISPA® a uniquely stable board. 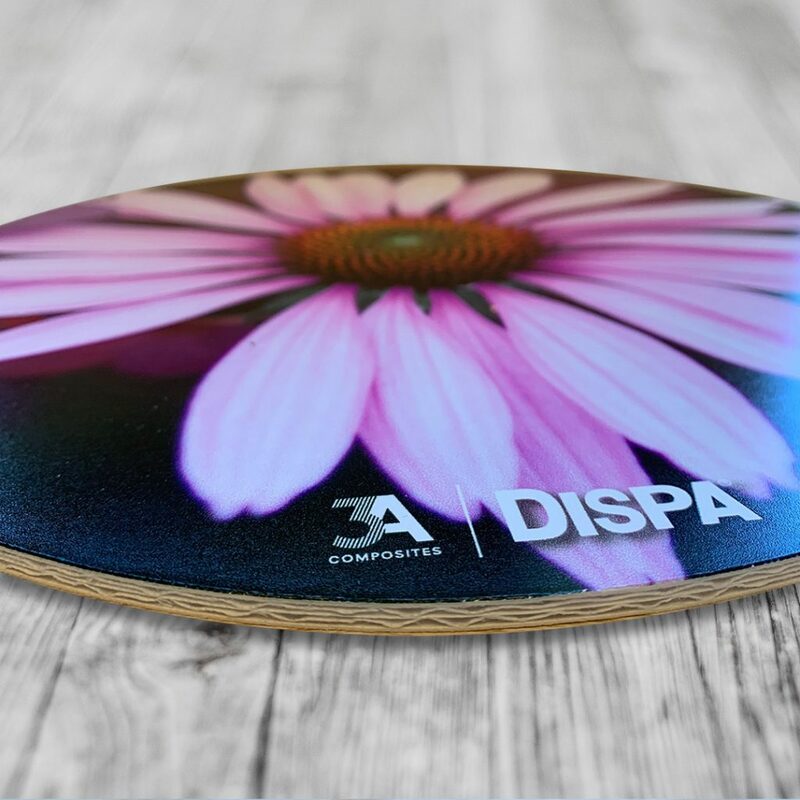 “We at 3A Composites USA are pleased to offer DISPA® to our customers in the Americas as a fully recyclable, sustainable option in our continually expanding graphic display board line,” said Chuck Kunze, director, product management and marketing, 3A Composites USA. “DISPA® is the first all-paper graphic display board to feature a layered, embossed core with smooth facers, offering a high-quality appearance in signs and displays. With DISPA®, there’s no need to sacrifice graphic design for sustainability. For more information about DISPA®, visit www.3ACompositesUSA.com, email info.usa@3AComposites.com or call (800) 626-3365.